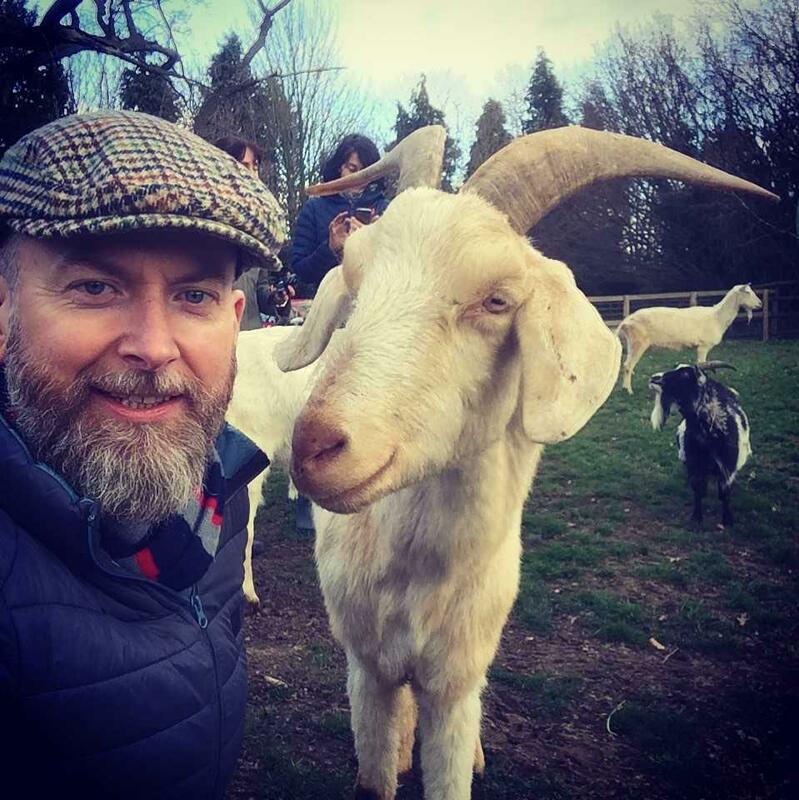 Alan McElligott, a professor of animal behavior, is eager to learn more about goat-human interactions. Instead, he reports, "they actually do stop and look at the faces." McElligott put 20 goats through four rounds of rigorous testing. In an article published Wednesday in Royal Society Open Science, he reports that 51 percent went to the happy face first, compared with 30 percent who approached the angry face. The remainder didn't seem to care. Now I know what you're thinking. McElligott does, too. Is this what they spend money on now, figuring out whether goats can tell the difference between smiling and frowning faces?! So his experiment was motivated by this belief that people have underestimated the "cognitive ability of livestock — cows, sheep and pigs and goats. We assume they're not particularly clever or perceptive," he says. With nearly 1 billion goats in the world, McElligott wants to make people realize the benefit of treating them nicely. "We're trying to raise awareness these animals are not just like planks of wood. They have fairly advanced cognitive ability, which would also mean there's the potential to suffer" – for example, he says, when they're exported by ship or truck around the world. Goat (and sheep) specialist Susan Schoenian, at the University of Maryland Extension, has questions about the study. I shared with her McElligott's theory that maybe goats associate the smile with the smiling faces of humans who stroke them (which is something goats like). "I have no doubt that animals know when they've been treated kindly," she says. "But I don't know how the goats would be able to relate the pictures of faces to real people or real behavior." She also thinks that in general, goats and other livestock "are treated very well [by the farmers who raise them] – they wouldn't be productive" otherwise in terms of offspring and milk. "But sometimes research that gives us understanding of a behavior in an animal may lead to an understanding of it in people," she says. Meanwhile, even though I'm a big goat fan, I must note that the goats in the study aren't quite as impressive as the sheep in a study about facial recognition published this past November, also in Royal Society Open Science. These sheep were trained to recognize photos of celebrities like Emma Watson on a computer screen. Then they were shown two images, one of a celebrity from the earlier test and one unfamiliar. And they definitely opted for Watson.